Shopping for Adventure Time Pint Glasses? Ooo… someone isn't very happy. 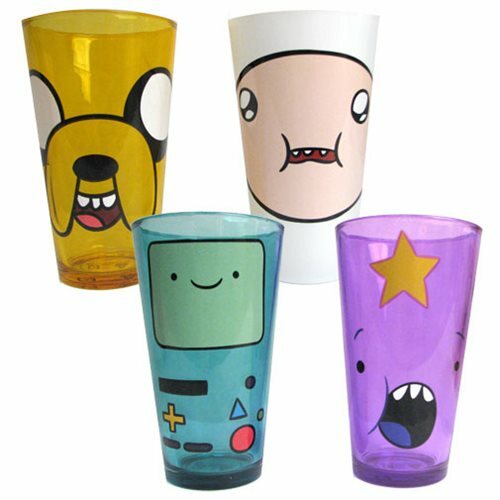 The Adventure Time Angry Faces Pint Glass 4-Pack includes four 16-ounce glasses featuring the visages of BMO, Finn, Jake, and Lumpy Space Princess. Hand wash only. Not dishwasher safe. Do not microwave. Ages 13 and up.